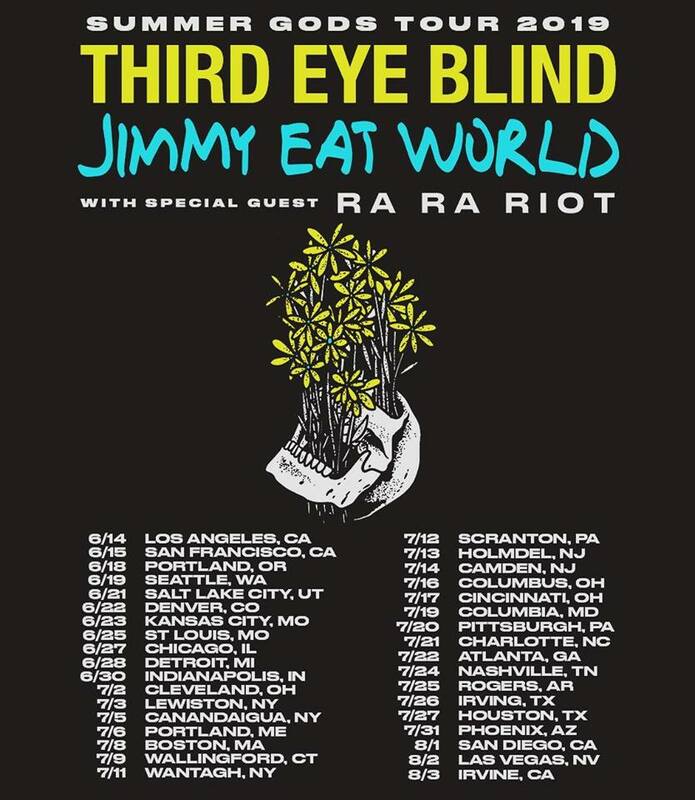 Ra Ra Riot joins Third Eye Blind and Jimmy Eat World on their 2019 Summer Gods Tour — Stunt Company Media Inc. Starting in June, make sure to catch Ra Ra Riot as they join Third Eye Blind and Jimmy Eat World on their 2019 Summer Gods Tour! Tickets are available for purchase on Ra Ra Riot’s website.